Round Foot Homes - What's New! 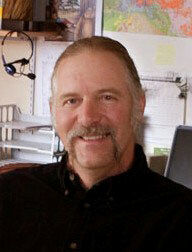 Mark Benjamin, owner of Round Foot° Homes, has recently become Professional Liaison for Emerging Green Builders. Link to business.gov: Energy-Efficiency Design and Construction Resources & Sustainable and Green Building Guidance. Link to nahb.org: Green Building Newsroom. Hot, Flat & Crowded, by Thomas L. Friedman ~a green read about the state of the earth. See LinkedIn profile of owner, Mark Benjamin.